At SLIDERS®, we take our responsibility to have a positive influence on the environment very seriously. 1. Our service vehicles are four-cylinder, regularly maintained and our appointments are scheduled to reduce travel time whenever possible. 2. When addressing sliding patio door concerns, weather-stripping and caulking are important areas of concentration to reduce air infiltration. Ignoring such conditions can increase heating and air conditioning costs. 3. 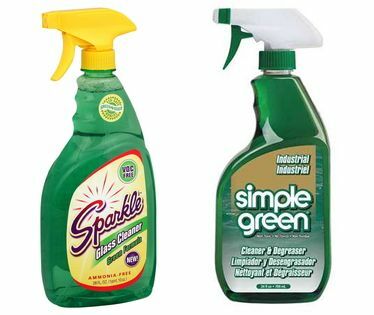 During the track and glass cleaning portion of our service call, only non-toxic, environmentally friendly products are used. All our aerosols are non-chlorinated with a C02 propellant. Our cleaning cloths are recycled and our paper towels are biodegradable. 4. We never use any petroleum based lubricants or caustic chemicals. And, we do not use glass cleaners that could adversely affect window tinting film. 5. When replacing sliding screen doors, the scrap metal is always recycled. 6. Depending on the location of their patio doors, our customers are encouraged to take advantage of the solar gain in colder months and consider window tinting or solar screens to reduce the sun’s rays during the summer. When purchasing window treatment for their patio doors, our customers are asked to take the insulating features of the products into consideration. There can be substantial heat loss even with patio doors that are sealed well, just because of the large area of glass.